After Marijuana was legalized in many states, more and more online head shops have been coming out. 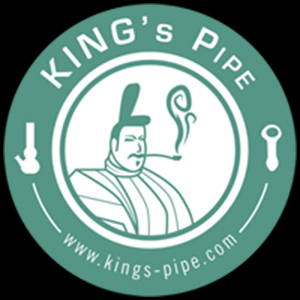 KING’s Pipe Online Headshop, which was launched in 2014, is a Southern California based online smoke shop, which has their own glass brand called KING’s Pipe Glass. They work closely with their local glass blowers who handcraft the glass bongs, dab rigs and recyclers with care and love. When they started, they only had a few glass water pipes, but KING’s Pipe Glass now has over 50 products, and the number of their own products are growing. The signature style of their glass bongs is the double ice pinch. Each bong has 6 pinched ice catcher, so it is not only for ice but also works as a splash guard. Unlike other American made glass bongs, the prices of their pieces are reasonable, so you should definitely check them out! Besides KING’s Pipe Glass, this online headshop carries many American branded bongs and vapes, such as MAV Glass, Grav Labs, Empire Glassworks and Puffco. For customers who don’t want to spend too much on bongs or glass pipes, they carry non-branded cheap bongs too. They always offer free shipping in the US, no hassle returns without those crazy restocking fees, as well as several payment options including credit card, Bit Pay and Sezzle Pay. As the Yotpo ratings and customer reviews on their website show, they really take good care of their customers, proving that superior customer service is the most important for them. Go check out this online smoke shop and see what you think!